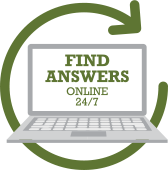 A wide variety of terms are used to refer to the early childhood workforce depending on the age of children served, the location of the service, how the programs are funded, and job roles. At Growing Futures, the focus is on early educators who work in teaching and caregiving roles serving children prior to kindergarten as teachers, assistants, aides, or providers within a broad range of settings, including school- and community-based preschools, Head Start programs, child care centers, and homes. When we combine the information that individual Growing Futures members provide regarding their education, training, and employment, we begin to have a more detailed picture of our workforce here in North Dakota. As we learn more about who we are, where we work, and how we are qualified and compensated for our work, we have the data we need to advocate for improvements in workplace environments and pay – something we all want to see. 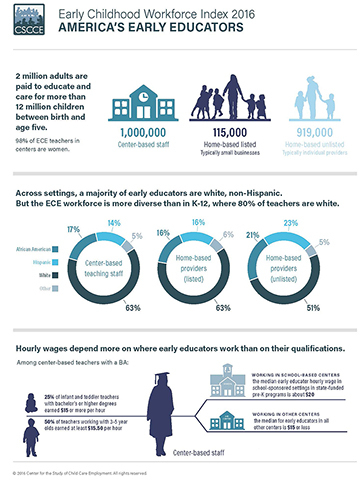 America’s Early Childhood Workforce provides a quick picture of the workforce across the country.